Last month, I had the opportunity to drive a vehicle for review unlike any test drive auto I'd driven before: the 2018 Subaru Crosstrek 2.0i Premium. Now, I have previously driven Subarus. And I've taken plenty of SUVs (small, large, crossover, mini and more) for spins for review. The novel aspect of this auto, though, was the color. Sunshine Orange, to be exact. The Thursday before Labor Day, Rocky Mountain Redline fleet company provided me a 2017 Jeep Compass Trailhawk 4X4 for a week long test drive. Which meant I had the fun ride for the long holiday weekend... plus some. 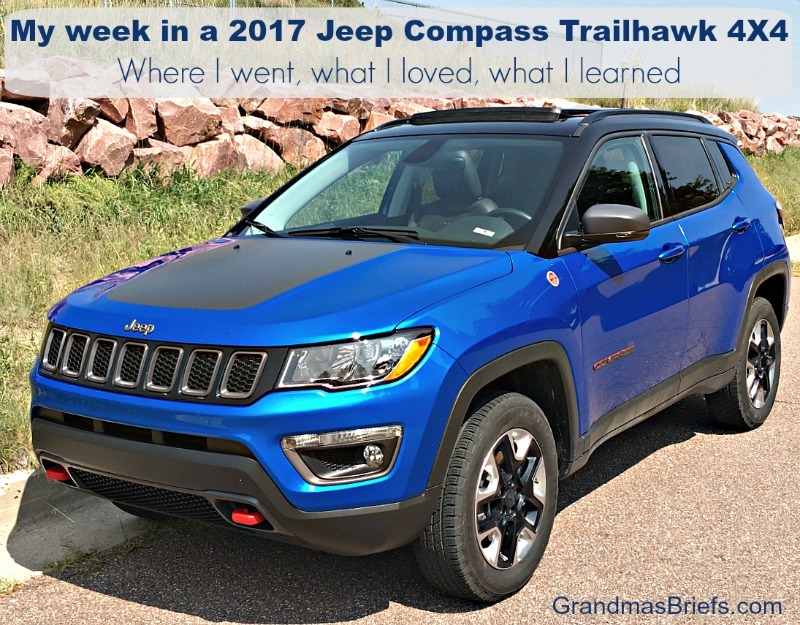 In the seven days I had the pleasure of driving the well-appointed, hardy and handsome (Laser Blue Pearl exterior) 4X4, I put it to the test on the road, at a reservoir, and running the everyday errands that make up the grandma lifestyle. Friday briefs: On precious witnesses, my holiday ride, and what the heck is this? My middle daughter, Megan, and her husband, Preston, were both baptized as babies. Separately, of course. Last weekend the two of them confirmed their commitment to Christ together, publicly declaring as a couple they will forever live their lives for Christ. 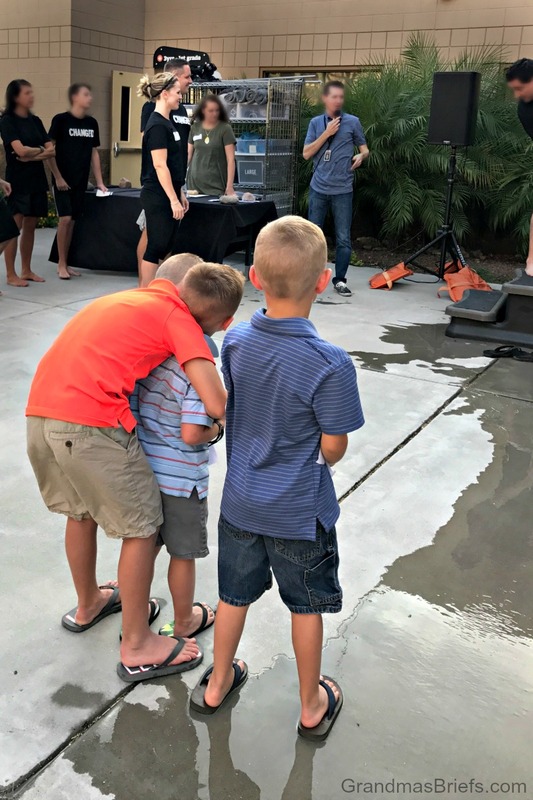 Brayden, Camden, and Declan were front and center to witness the event. Anticipating Mommy and Daddy's turn. My youngest daughter turned 32 years old the first part of July. When I asked what she'd like for her birthday, Andrea requested only that my husband and I go to church with her that day, to her church in Denver, which we'd never visited before. And MOANA on DVD, too. The wishes of my Disney-loving daughter seemed rather small, so I decided to throw in a surprise. 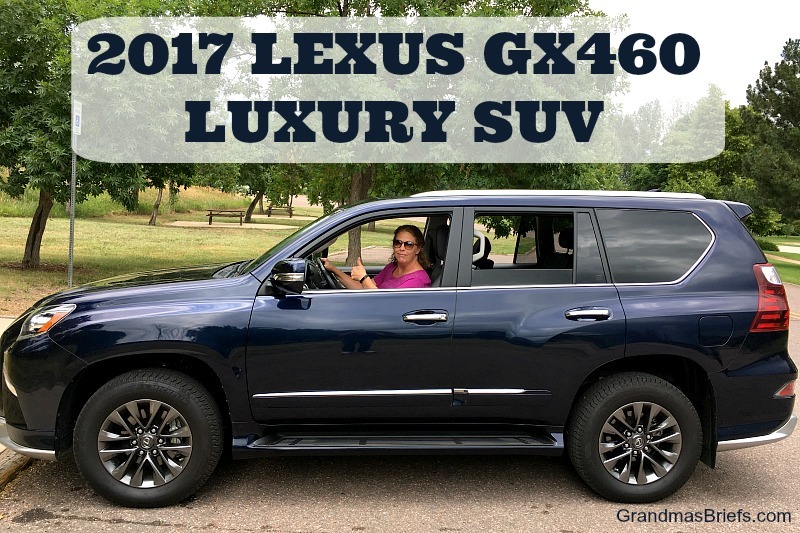 A 2017 Lexus GX460 luxury SUV sort of surprise! My wheels for the week! Welcome to Monday! I'm not typically super excited at the start of a new week — even folks working from home find it a challenge to muster motivation on Mondays. But this week I am exited. 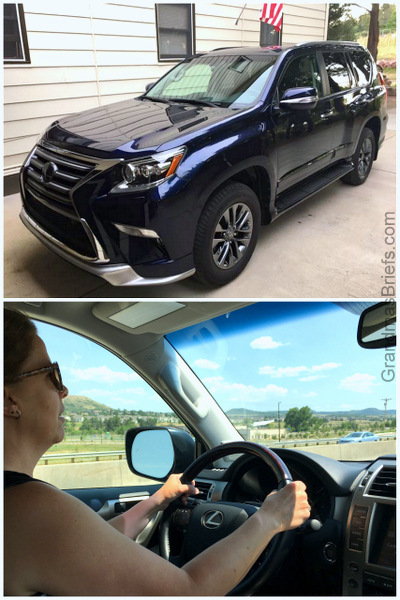 Because this week I get to drive a 2017 Lexus GX 460 each and every day... free for review! The luxury SUV in stunning "Nightfall Mica" (such a pretty blue, right!?) was delivered to my home Friday evening, and I soon hit the road to sample its many amenities. First major destination: Denver! Yesterday Jim and I surprised Andrea in Denver by showing up in the sleek wheels to chauffeur her about for her 32nd birthday happenings. 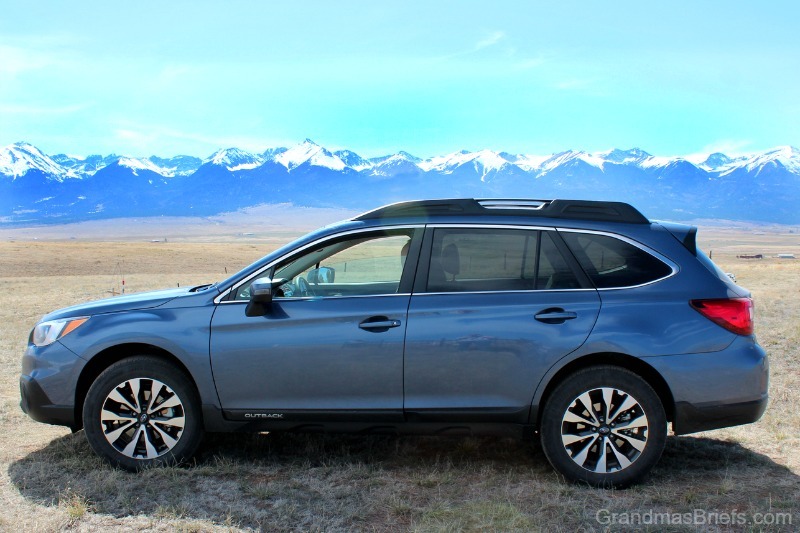 I was provided a 2015 Subaru Legacy free for one week for review as part of the #SubaruLegacy blogger program. Opinions are my own. Last month, I had a sleek and chic sedan for a week. A 2015 Subaru Legacy 3.6R Limited, which I told you much about in this post right here. During the week I had the Subaru Legacy, I visited a few places nearby that I'd never been to before despite having lived in the area for more than thirty years. 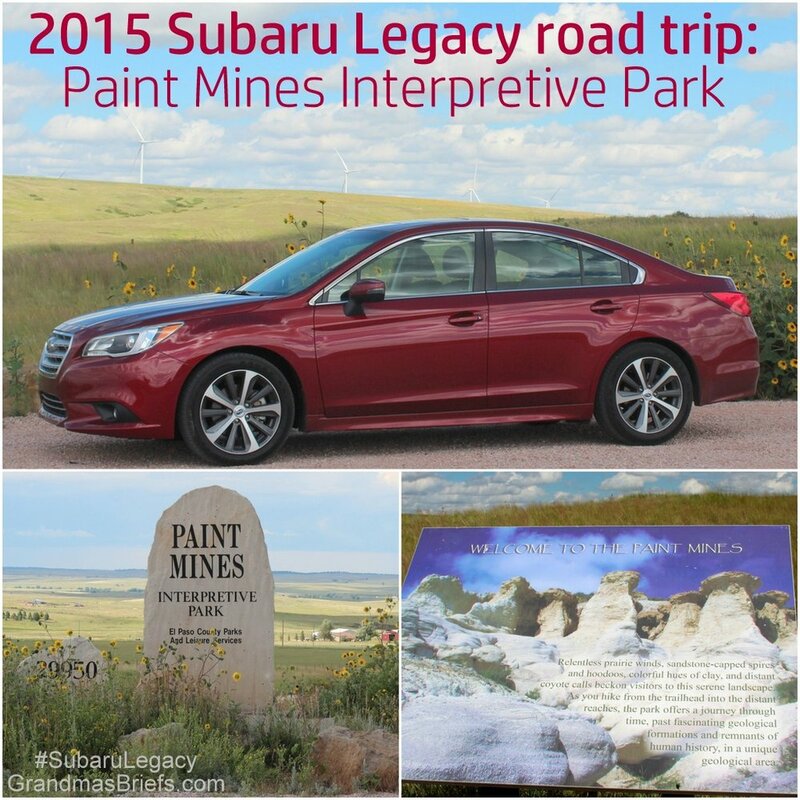 One spot I toured: the Paint Mines Interpretive Park in Calhan, CO. My friend Ruth of Cranium Crunches—a devoted fan of minerals, gems, and geological wonders of any sort—was in town for a day and was delighted to sit back in the comfy passenger seat of the Legacy and head off to the Paint Mines with me. My friend Ruth, author and creator of CraniumCrunches.com, visited me for one day last month. 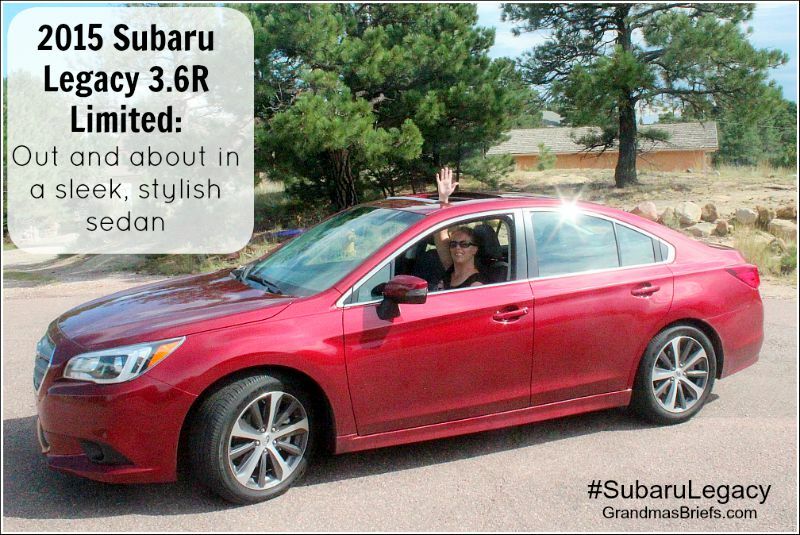 It was perfect timing as I had just received a 2015 Subaru Legacy 3.6R Limited free for review as part of the #SubaruLegacy blogger program. The sleek sedan was the ideal vehicle for our day of adventure. The town of Westcliffe is one of my favorite spots in Colorado. My mom had property outside of town for quite a few years, and my husband and I used to take our daughters camping there a few times each summer for several summers in a row. Some of our most memorable family fun took place in Westcliffe, with the Sangre de Cristo mountain range providing a spectacular backdrop. Though our favorite camping spot was sold many years ago, my family and I still enjoy the scenic trip west to the tiny town—where my dad now lives. Coming around the curve just before town and seeing the Sangres spread out before us never fails to take our breath away.